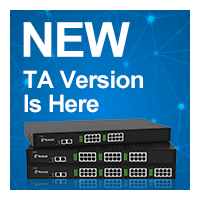 We are very pleased to the announce the new firmware update version 91.2.0.4 for TG Series VoIP GSM Gateway*. This version focuses majorly on enhanced stability, optimized SMS feature, an exciting new Port Monitor Tool for troubleshooting, and tons of minor fixes, which will further improve productivity for both administrator and users. See what’s new in the firmware version 91.2.0.4. Added Port Monitor Tool for troubleshooting on web. Improved the stability of the TG gateway. Optimized Email to SMS: supported sending email to multiple mobile numbers (Max. 10). Optimized Virtual Ring Back Tone setting: supported 180 Ringing with SDP. Supported configuring two IP address for LAN/WAN port. TG gateway will respond 200OK to OPTIONS packets by default. Fixed the VoIP Register Trunk issue: if the trunk has multiple DID numbers, Mobile to IP route could not work. 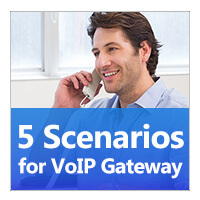 Fixed the VoIP Account Trunk issue: if you connected TG and the PBX by a VoIP Account trunk, IP to Mobile route could not work. 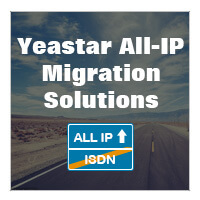 Fixed the IAX Account Trunk issue: if you set DID number on IP to Mobile route, the IP to Mobile route could not work. Fixed the issue that TG gateway could not identify SIM cards. Fixed the issue that a certain GSM/3G/4G module would have problem if you rebooted multiple GSM/3G/4G modules. Fixed the Send SMS issue: the received SMS would contain messy codes. Fixed the issue that GSM/3G/4G trunk might not work. Fixed the issue that if an SMS has many contents, the SMS could not be sent successfully through a 4G module. Fixed the issue that USSD function could not work. Fixed the Backup and Restore issue: the TG gateway could not restore a correct SSH setting from the backup file. *This upgrade does not include TG100. Download the firmware here. For more information, please refer to the Release Note.